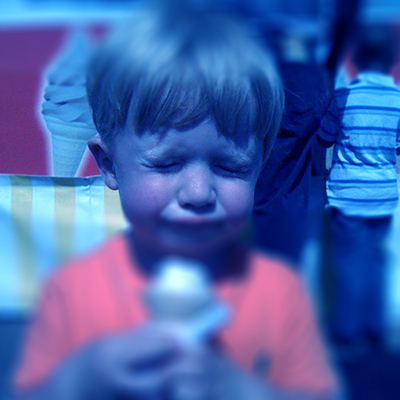 What is Brain Freeze or Ice Cream Headache? Brain Freeze is actually a mistake by your brain. “Sphenopalatine ganglioneuralgia” sounds like a terrible disease, and, certainly, it can be painful. But for most of us, sphenopalatine ganglioneuralgia is a punishment worthy of the crime— the crime of eating ice cream. Sphenopalatine ganglioneuralgia is the affliction better known as “brain freeze” or “ice cream headache,” the stinging sensation one feels at the top/front of the head after eating too much ice cream too quickly. Many of us have experienced it— one study in the British Medical Journal (yes, there’s a study on ice cream headaches) suggests as many as one-third of the population has been so afflicted. Eating ice cream causes the blood vessels in your face to contract quickly and, when the ice cream leaves your mouth, those same blood vessels get warm and dilate, or expand. If you eat ice cream too quickly, the blood vessels expand rapidly, and that’s where the trigeminal nerve takes over. The part of the nerve in the roof of your mouth sends a signal to your brain, telling the brain that something’s wrong. The brain screws it up. This “mistake” is a phenomenon called “referred pain,” in which the brain misplaces the source of the sensation. It’s not very common, although it’s also seen in heart attacks, during which the brain incorrectly places the pain in the shoulder instead of the chest. In the case of brain freeze, instead of “understanding” the signal for what it is— a change in temperature in your mouth— your brain instead thinks that the signal is coming from the forehead. The brain reacts by turning that signal into a migraine-like headache, although a short-lived one, thankfully. Why this referred pain phenomenon occurs is unknown. But we do know that if you do not want to experience it, there’s an easy solution: Slow down when you’re eating a frosted treat. Credit: Lewis, Dan. Now I Know: The Revealing Stories Behind the World's Most Interesting Facts (p. 198-199). F+W Media. Kindle Edition.